Know of an event or news that might be interesting to SARC members? SARC is pleased to announce that the 2012 ARBA National Convention BIS winner, Linda Cassella, is presenting a webinar for SARC members on Saturday, December 1 at 10am (CST). Slots are filling up, so sign up for this informative webinar today! Johnson County Rabbit Club will be holding a Friday night single show and a Saturday double. Join us at any of these fun events! Friday evening show and Saturday show in Cleburne, TX. Attend one or both days. Rabbit shows are free to the public and great family fun. Click here for directions to the show. 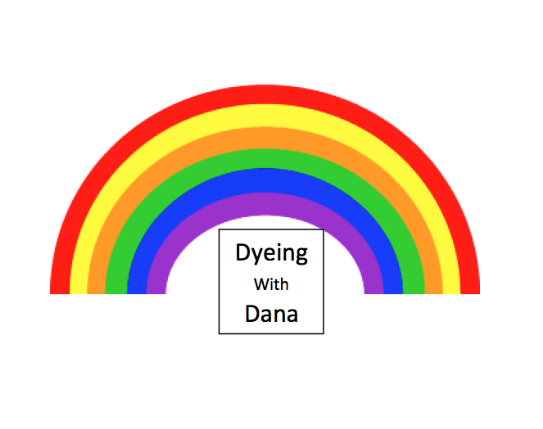 Fill out the appropriate Dyeing with Dana webinar registration form below to sign up. TARC is not just for Texans. Everyone is welcome to join our club...so join us! TARC Announces It's Next Webinar! Mark your calendars for October 6, 2012 @ 9am when we join fiber artist, Dana Faber of Gray Haven Farms as she teaches us how to dye fiber with Kool-Aid! Register here to receive your supply list and join your TARC friends for a morning of fun...Come dye with Dana! Friday evening show and Saturday show in Cleburne, TX. Attend one or both days. Rabbit shows are free to the public and great family fun. Click here for the bunnyrabbit.com site. Directions to the show are in the left column under "Show Schedule." Submit your show/event pictures to texasangorarabbitclub@gmail.com to add to our photo slideshow! Please include captions for your photos. We're glad you're here! Our membership just keeps growing and growing. Thanks for making our club a success and taking that extra step in your enjoyment of Angora rabbits. As the summer hits, it is important to keep those buns cool. Clip your rabbit's wool. 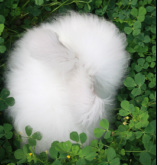 A summer haircut can help your Angora rabbit stay cooler, even indoors. Pick up ceramic tiles at your local home improvement center or flooring store. Place them in the freezer overnight. Your rabbit will appreciate the cool tile when placed in their housing area. Put ice cubes in your rabbit's water bottle. Step up on that cleaning schedule. Heat increases the effect of ammonia. Keep those rabbit noses happy by improving air quality with more frequent cleaning. Oscillating fans in the rabbit's housing area to ensure good air movement. Make sure that fans do not continually blow in your rabbit. Clean your fans regularly to prevent wool buildup which, if left unattended, is a possible fire hazard. Go north if it's too hot here in Texas! The 6th Annual Fiber Christmas in July Fiber Festival in Kellyville, OH provides fiber enthusiasts with lots of opportunities to increase their fiber knowledge...and their fiber stash. Fiber classes available. Vendors from Texas, Louisiana, Oklahoma, Kansas, Arkansas, Mississippi, Tennessee, and Missouri are scheduled to attend. Go north if it's too hot here in Texas! The 6th Annual Fiber Christmas in July Fiber Festival in Kellyville, OH provides fiber enthusiasts with lots of opportunities to increase their fiber knowledge...and their fiber stash. Vendors from Texas, Louisiana, Oklahoma, Kansas, Arkansas, Mississippi, Tennessee, and Missouri are scheduled to attend.